‘I’m a numbers guy,’ says Robert Covay, with a what-can-I-say type of shrug. And it makes sense that he would be. As Chief Financial Officer (CFO) for California Hydronics Corporation (CHC), Covay oversees the company’s finances, from department budgets to the Employee Shares (ESOP) program. Of course, there’s more to Robert Covay than facts and figures. He’s an avid hiker, happiest when he’s blazing through trails. And he’s no amateur. Covay started hiking seriously back in 2000, when he did his first Half-Dome hike (which he has now done 16 times). That first taste sparked dozens of hikes all over the country and soon, the world. From Mt. Shasta to Mt Whitney and eventually to Mt. Kilimanjaro, Robert Covay’s hiking boots have seen some tough soil. We’re sitting in his office in Hayward, California. On each wall of the clean and simple room are massive portraits of breathtaking landscapes, which I am surprised to learn he took himself. I point to one and ask where it was taken. Michelle Kicherer: So what got you into hiking? RC: Aside from the outdoors aspect and getting to know your fellow hiker, I like the precision of it. There’s a lot of planning that goes into these bigger hikes. Like I said, I’m a numbers guy, so for example, I know that we have to leave base camp at 3:00 A.M. in order to make the summit by 4:00 P.M. Or, if it’s nearly 2:00 PM and we’re at a certain elevation, there’s no way we’ll make summit in time to then return before dark. That type of planning. MK: What kind of hikes are we talking here? They sound…long. RC: They are long. It depends. Kilimanjaro, for example was eight days. Six days up, two days down. You have to do the ascent slowly in order to acclimate. MK: Wow! So what kind of training is involved for these hikes? RC: To start off, when I lead a hike, I usually vet people. What are their goals, what is their ability to overcome obstacles; their attitude. MK: Sounds like a job interview. RC: There is definitely some correlations between being a good hiker and a good worker. Hiking takes a lot of teamwork, camaraderie; you bond with your hiking mates. You have to learn how to trust them but also to trust yourself. To know your own limits but also understand when to push yourself. We’re all in it together. Like the ESOP–when I’m winning, you’re winning and we’re all making it happen together. So with training, you take bigger and longer hikes until you’re ready to take on an even bigger one. Always challenging yourself. MK: Can you tell me more about hiking Mt. Kilimanjaro? That sounds like no easy feat. MK: That’s a startling thing to hear on a hike. RC: Yes, but I am an experienced hiker, so I just thought well, she doesn’t know what she’s talking about. 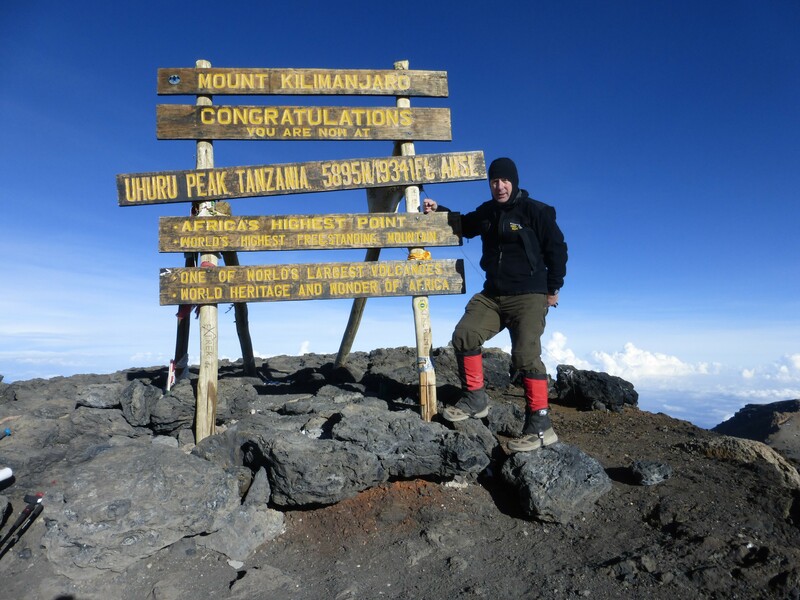 Cut to September of 2013, and I was actually in Tanzania, climbing Mt. 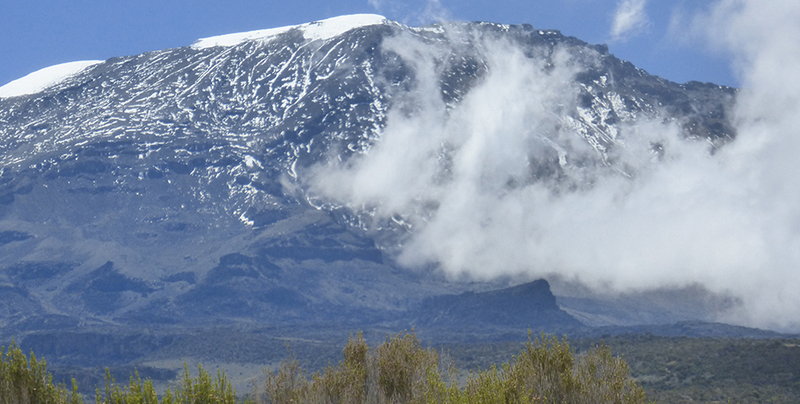 Kilimanjaro–which was just really beautiful. There’s nothing like it–and I realized I wasn’t myself. RC: I was moody, which isn’t really like me. I was having a hard time on say, climbing up a rock or taking a big step. I was more sore than normal, I was becoming sick. I didn’t understand what was actually happening at the time, of course, but my body was going into liver failure and those were all signs of lymphoma. MK: You had cancer when you hiked Mt. Kilimanjaro? RC: I did. I kept pushing through because I wanted to finish, but I knew something was wrong. After my return, I had months of treatment–I spent ten days in a comma–I almost didn’t make it. But I did. MK: Wow. So that second time hiking Mt. Kilimanjaro was after that tough first time? How’d that come about? RC: I started attending support groups through the Leukemia & Lymphoma Society (LLS) and eventually met this woman who, during her treatment, had a photograph of Mt. Kilimanjaro next to her hospital bed to motivate her to get better so she could fulfill her lifelong dream of doing that hike. It was just a sign. So I joined her and some others and in 2017 I made it back to Mt. Kilimanjaro and summited that mountain again. It was very emotional. 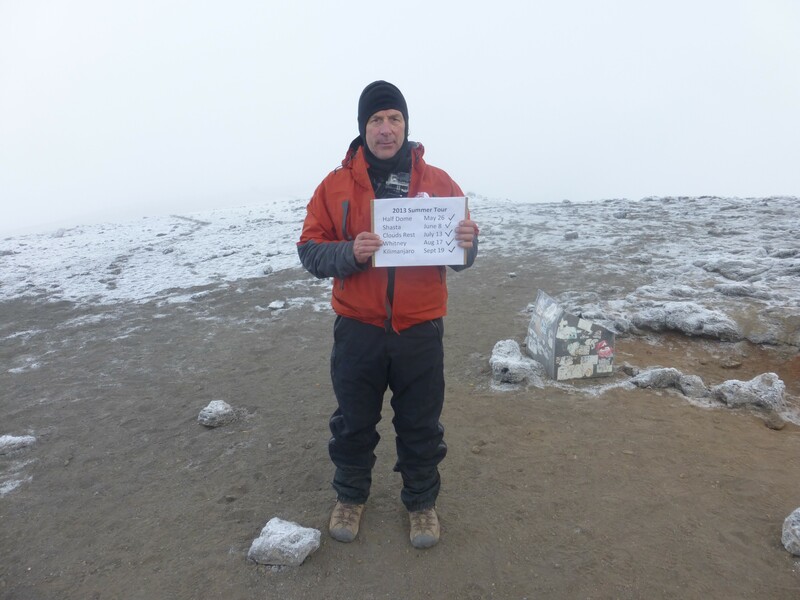 I believe that Mount Kilimanjaro may have saved my life. It pushed me and perhaps pushed my lymphoma to the forefront so we could see it and treat it. MK: Kind of like that idea that you don’t know how hard you can push yourself until you’re forced to push yourself really hard. RC: And I think that translates a lot to work. I’m a numbers guy, like I said, and I am also a compulsive planner. I think that at work, we always need a new goal, and a team full of different skill sets that will help bring that goal to fruition. Just like a team of hikers. MK: One last question. It’s tax season–you used to be a CPA, right? [he smiles and nods] Do you have any tax advice for us? RC: My biggest advice is to not panic. Take the emotion out of it and just remember to be objective. Look at the facts and if you plan your year ahead you can make good decisions. Just remember: taxes are a constant and they’re nothing to fear. MK: Nothing is certain but death and taxes, right? Robert Covay speaks widely with LLS on his experiences and motivations as a survivor. He is involved in Team in Training and Light the Night. He hikes regularly and enjoys introducing newcomers to the world of hiking.